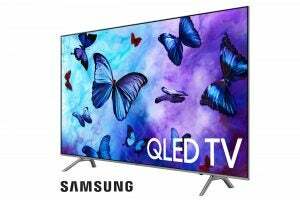 In 2017, Samsung went big with QLED – the latest iteration of its Quantum Dot-toting LED LCD TVs. The plan involved building strongholds in the land of 1000+ nits brightness and colour volume: the lofty heights that LCD TVs can reach, but where darkness-loving OLED can’t follow. Things didn’t go to plan, however. While Samsung did manage groundbreaking levels of luminance and saturation, it stuck with edge-lit LCD designs – and ran into that technology’s limitations. Essentially, when you push brightness as high as 2000 nits, edge lighting and zonal dimming simply aren’t enough to stem the tide of lighting artefacts. 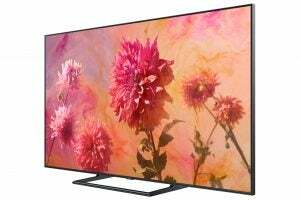 The above issues were compounded with large price tags, plus OLED’s creeping gains in highlight and mid-tone performance. 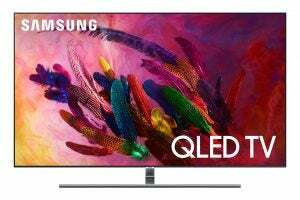 The final score for 2017: OLED 1, QLED 0. Samsung has learned from its mistakes, however. The company is continuing with QLED in 2018 – but, crucially, you can expect lower prices and better black performance. What do those numbers mean? Firstly, Samsung is sticking to its ‘Q’ labelling system, but adding an ‘N’ to separate the 2018 range from the 2017 range. Last year, the QLED models were limited to the 9, 8 and 7 Series TVs. This year, there will be a 6 Series QLED. This means that models down the range will benefit from the lovely colours. There are also more screen size options, which is great for folk who are tight on space and also those with more sizeable homes. Most importantly, the picture has been significantly upgraded. The single most important thing about the 2018 QLED range is that Samsung is bringing back backlighting, not just relying on edge lighting. That’s important since this Q9 also offers a peak brightness of 2000 nits. The Q9FN will offer full-array local dimming (FALD) with hundreds of dimming zones. This represents a huge upgrade in lighting management, but Samsung has learned not to rely on that alone and has several backup measures. In a bid to ramp up black performance, the company is employing layers of black and anti-reflection filter, designed to minimise internal light leakage and external glare. The panel also includes a layer with a prism-like structure, which aims to improve viewing angles and stop the picture washing out when viewed from the side. In addition, Samsung is using software to help. The TV will run an anti-blooming algorithm, which identifies bright areas and dims their boundaries to avoid halo effects. It works. The combined efforts of these black-improving measures are hugely effective. I viewed the new panel next to a 2017 LG OLED, and alongside the Sony ZD9 from 2016 (widely regarded as the best FALD still being sold). 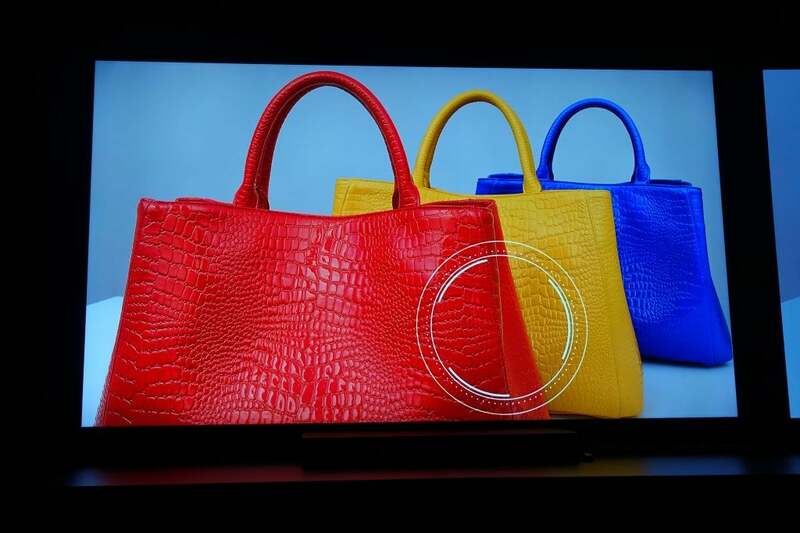 The Samsung panel demonstrated noticeably better lighting localisation than the Sony, with less blooming. Against the OLED? I struggled to notice a difference from a ‘normal’ position, sat down a few metres away. It was only when I walked closer to the TV that I saw some very slight blooming on the LCD. Due to the structure of LED LCD TVs, it’s unlikely that they’ll ever match the look of emissive tech such as OLED. But that doesn’t mean the improvements aren’t significant. Conclusion: Samsung’s LED LCD tech is now a lot closer to OLED’s black levels. If the company’s pricing strategy is sensible, the 2018 QLED range could be a solid retort to OLED. There are no confirmed prices yet, but Samsung has promised the new QLEDs will be significantly more affordable than last year’s models. There’s more. 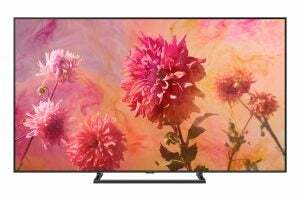 Samsung is paying extra attention to the style element of TVs, taking steps to ensure your TV blends better into your living room. First, there’s a new ‘Invisible Connection’, or a single super-thin cable that will be hard to spot unless you’ve got the eyes of a hawk. The idea is that your mains cable and nest of HDMI cables will go into the standard, separate connections box, and then a single, barely there cable will take that to the TV. Samsung has done something similar before, but this is the first time such a thin cable has handled both data and power duties. The final upgrade will appeal to those who don’t want a big blank screen in the living room. Samsung is bringing in the Ambient Mode from its Frame TVs, which essentially gives your TV a low-powered screensaver mode. You can have art on display, or the weather, or you can even display a picture of your wallpaper. It sounds power-hungry, but Samsung estimates that it will come to $0.59 or £0.68 a month, based on three hours’ use a day. Oh, and note the introduction of the 55-inch option. This is the first time there’s been a ‘small’ version of the flagship model. The Q8CN retains most of the features of the Q9FN, with a few exceptions. Firstly, peak brightness drops to 1500 nits. Second, it loses the full-array local dimming – Q8CN, Q7FN and Q6FN will be bottom-edge lit. But they’ll benefit from the Q9FN’s black filters and advanced dimming algorithms. There’s also going to be a flat Q8FN model with full array backlight, but at the moment that will only be available in the US. In Europe, that will be an edge-lit version, and I expect to see this launched at IFA 2018 in September. Peak brightness drops to 1000 nits, which is less than what’s offered on the other QLEDs, but it’s more than you’d get on a 6 Series model. We also lose the Ultra Black technology seen in the senior models, but this shouldn’t be a concern – the Q6FN is half as bright as the Q9FN, so its dimming tech doesn’t need to be quite as powerful. Four HDMI ports remain (always a sign a manufacturer is taking things seriously) but USB ports drop down to two. Oh, and the design is more basic – you don’t get the premium metal trimmings.